WARNING: If you are using the display lettering for commercial purposes, make sure the pattern you are using is not copyrighted and allows to be used for commercial purposes. 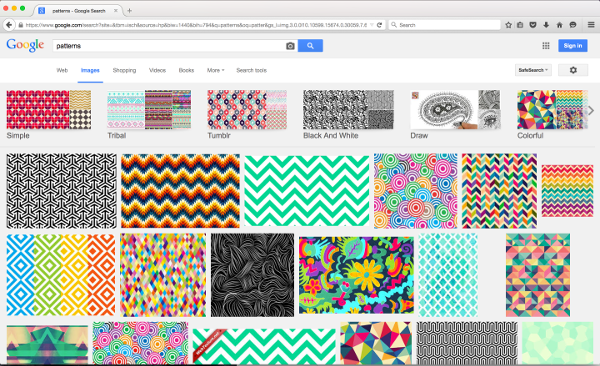 Go to Google Image Search and type the word 'patterns' and hit enter. Click on any pattern that you want to use. 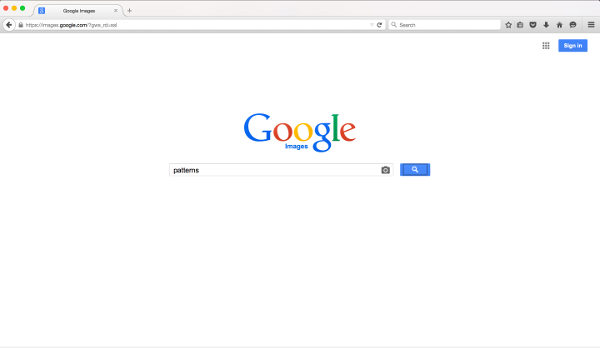 Right-click on the pattern that you want to use and select "Copy Image Location" or "Copy Image URL" or "Copy Image Address" (depending on what browser you are using). 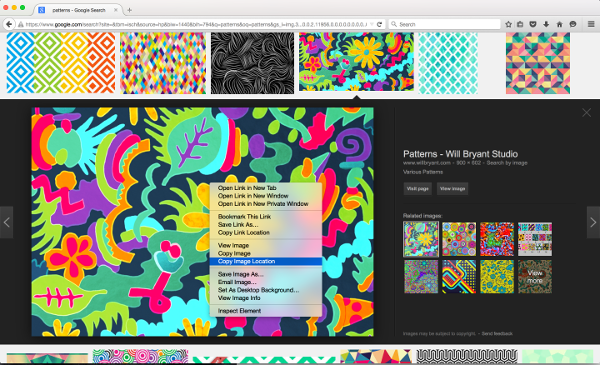 Paste the image location to the 'Pattern URL' field.